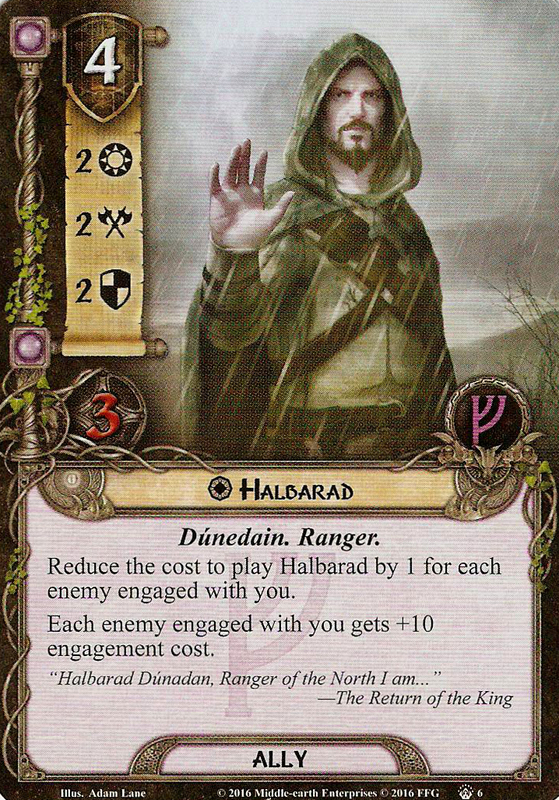 Reduce the cost to play Halbarad by 1 for each enemy engaged with you. Each enemy engaged with you gets +10 engagement cost. "Halbarad Dunadan, Ranger of the North I am..."